CONGRATULATIONS TO ALL iGEM 2014 TEAMS! See the complete list of medals and awards. Team Sumbawagen from Indonesia is the first ever to win the Chairman's Award! This award is given to the team that best embodies the values of iGEM. Sumbawagen won the community's respect and admiration due to their sense of integrity, honesty, effort, celebratory spirit and dedication they showed through the competition. 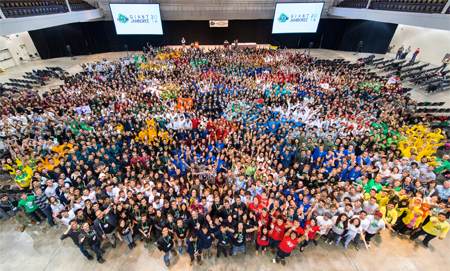 iGEM 2014 is over! This year we celebrated our 10-year anniversary with one massive event, the Giant Jamboree. 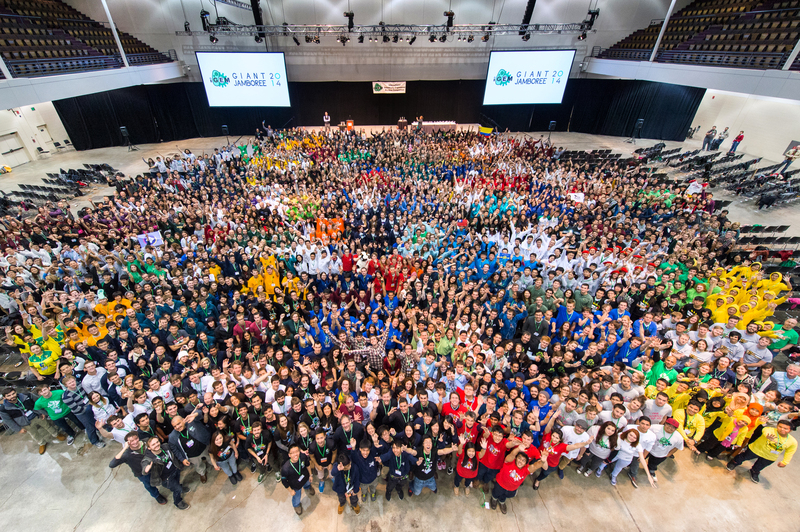 Over 2,300 participants gathered at the Hynes Convention Center in Boston, MA to celebrate Synthetic Biology's brightest young minds. 245 multidisciplinary teams from all over the world worked all summer long to tackle today's toughest problems through synthetic biology based on standard parts. Here are some useful links so you don't miss out on the iGEM experience! We would like to thank all of the volunteers that help make iGEM possible. A total of 115 judges participated this year. All of them are volunteering members of our community who dedicate a lot of time and effort to make iGEM better. The Giant Jamboree also received a lot of help from 56 volunteers worked through the weekend in order to make this event possible. You can help iGEM too! The iGEM community is big, but iGEM Headquarters is very small. We need your help to support our new high school division, to provide staff for the safety program, to hire a programmer, to support better assembly standards, and much more. More information on how to help iGEM. 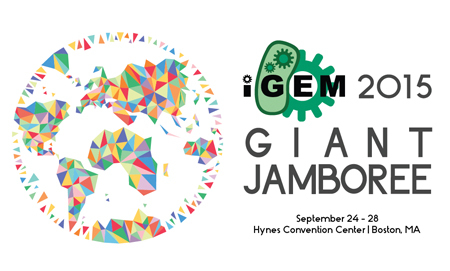 iGEM 2015 is just around the corner. The Giant Jamboree will take place at the Hynes Convention Center again, however the dates have changed; mark your calendars for September 24 to September 28, 2015. Visit 2015.igem.org for more information.